TEMPUR-Contour™ Elite lets you step up to more conforming comfort, pressure relief, and adaptive alignment. You’ll love the simple-to-remove and wash EasyRefresh™ Top Cover and the moisture-wicking, cool-to-the-touch SmartClimate™ System. The antimicrobial treatment hinders microorganisms, including dust mites. 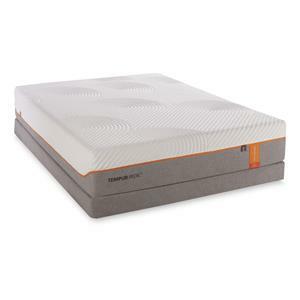 This mattress has a firm very firm feel and the TEMPUR-Adapt™ foam is slightly more adapting. The California King Medium-Firm Mattress and Foundation by Tempur-Pedic® at Morris Home in the Dayton, Cincinnati, Columbus, Ohio, Northern Kentucky area. Product availability may vary. Contact us for the most current availability on this product. 520649879 California King Medium-Firm Mattress 1 12.5"
The TEMPUR-Contour Elite collection is a great option if you are looking for Mattresses in the Dayton, Cincinnati, Columbus, Ohio, Northern Kentucky area. Browse other items in the TEMPUR-Contour Elite collection from Morris Home in the Dayton, Cincinnati, Columbus, Ohio, Northern Kentucky area.